At a quick glance, the Siata 208S could be mistaken for an early Ferrari barchetta or even a 1960s AC Cobra, which aped the latter’s design. It was, like the Ferrari, made in a small batch Italy with a coachbuilt body. And, like the Cobra, the Siata had a V8 engine from another manufacturer, in this case Fiat. 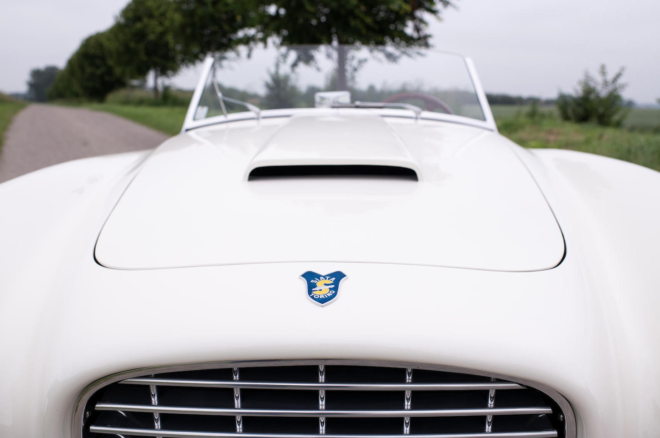 Like vintage Ferraris and authentic Cobras, the Siata 208S Spider commands high prices. 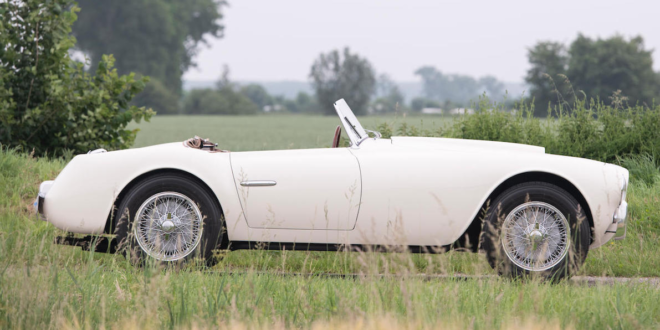 A 1953 model offered by Bonhams at its Quail Lodge auction in Monterey this weekend is expected to sell for $1.5m-$1.8m. One of the most beguiling boutique automobiles ever made, the Siata 208S is a rarity, with just under three-dozen made. 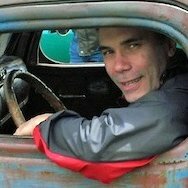 To many car enthusiasts, it remains a mystery. In postwar Europe, Fiat catered to the demand for tiny economy cars like the 500, known as the Topolino (little mouse). But even drivers with 500cc and 750cc engines wanted more power. Societa Italiana Auto Transformazioni Accessori (SIATA), founded in 1926 by amateur racer Giorgio Ambrosini, provided the performance parts for Fiats. In the late 1940s, Siata began making low-volume Fiat-based sports cars, and also built them with the American Crosley 724cc engine. In 1952, Fiat decided to offer its own sports car with its own 2.0-liter V8 engine and contracted Siata to build the tube-frame chassis for the low-production model. Called the 8V (“Otto Vu” in Italy), the Fiat was built with an in-house body design, as well as bodies by Ghia, Vignale and Zagato. 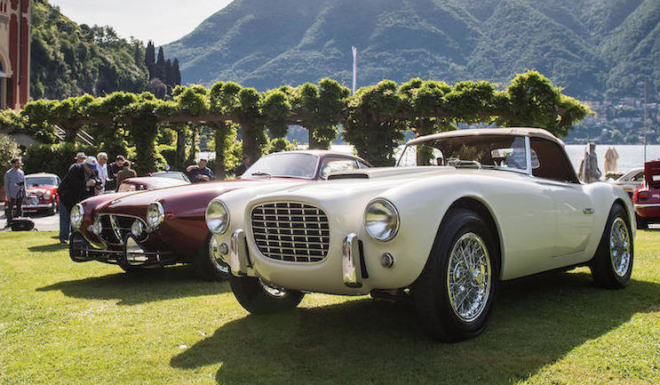 Just 114 of the Fiat 8V sports cars were made, and Siata acquired a number of the unused engines. Fiat’s 2.0-liter V8 angled the cylinder banks at 70 degrees, rather then the more conventional 90 degrees commonly used for V8s. 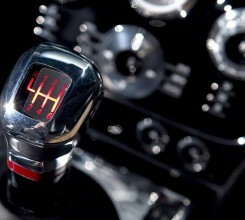 It was an overhead-valve design, not unlike American V8s of the period. It used a forged crankshaft and was fed initially by dual two-barrel Weber carburetors and a high-for-the-time 8.5:1 compression ratio. The little V8 was a visual cusiosity, with tubular exhaust headers exited vertically from the aluminum heads. 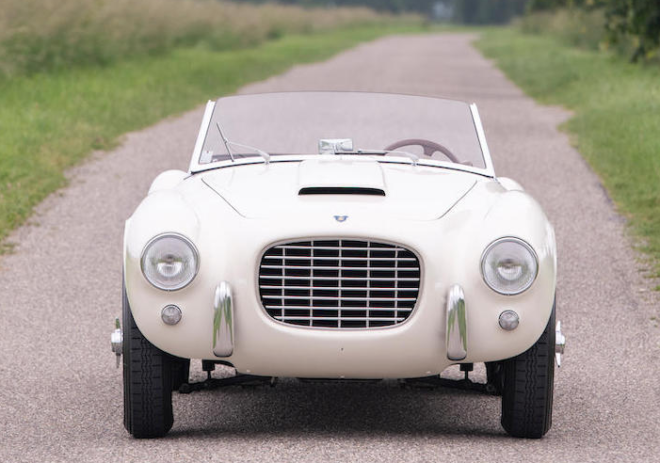 Giovanni Michelotti designed the Siata 208S Spider body, and construction went to Rocco Motto’s coachworks in Turin, which specialized in aluminum racecar bodies, including some one-off Ferraris. Motto built 33 208S Spiders. Most of the production run was sold in the U.S. through Ernie McAfee Engineering on Sunset Boulevard in Hollywood, with financial backing from oil heir Bill Doheny. Ernie McAfee was a hotrodder and road racer or repute and campaigned a 4.9-liter Ferrari. In one ad, McAfee promised 120 hp and 120 mph and touted the Siata’s 4-wheel independent suspension, 78-spoke Borrani racing wheels, “fantastic brakes,” Michelin tires and 1,900-lb. weight. The price was “$4,995 complete,” which was not out of line by the standards of the day’s premium sports and GT cars. McAfee put his money where his mouth was, driving one of the Siatas in the La Carrera Panamericana in 1953. His dealership specialized in Italian sports cars. Steve McQueen was customer, and reportedly put Ferrari badges on his own Siata 208S. McAfee died in a race crash in 1956. 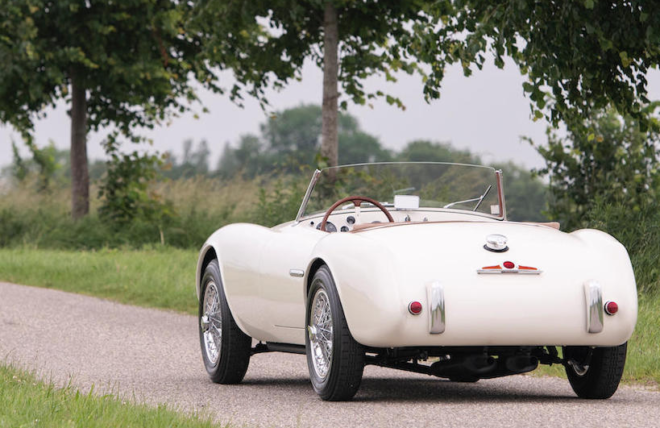 The Siata 208S offered by at the Bonhams Quail Lodge sale, #BS518 (the 18thmade), may have been used by McAfee for promotional purposes, since it was not sold to a customer until 1957. The buyer replaced the Fiat V8 with a small-block Chevy, a fairly common swap for European sports cars at the time, including 15 of these Siatas. A later owner, Rick McBride, had the Siata restored in the late 1980s, including installation of a correct Fiat engine. Two subsequent owners would also commission restorations. 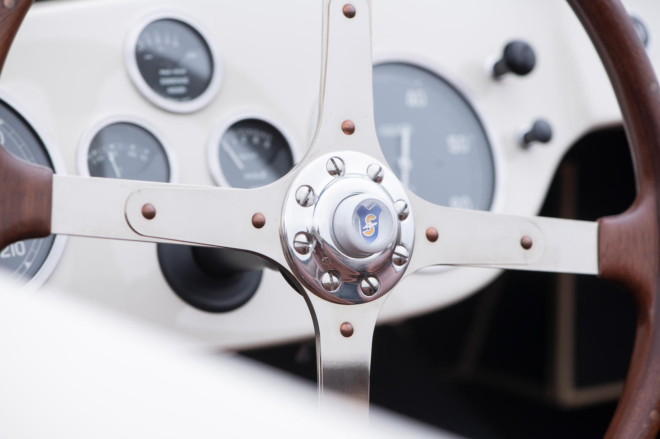 The car received a class award at the Pebble Beach Concours d’Elegance in August 2015 and has also been shown at Villa d’Este Concorso d’Eleganza at Lake Como, Italy. This 208S Spider is eligible for most vintage touring events, including the Mille Miglia Storica, California Mille, and the Colorado Grand. Few cars bring together beauty, advanced engineering, rarity, and racing provenance like the Siata 208S.